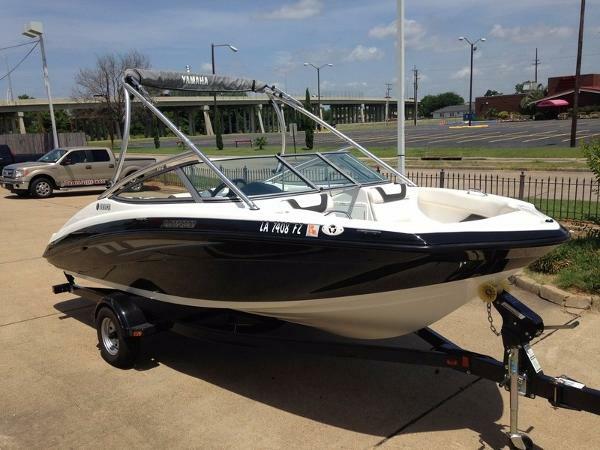 2013 Yamaha 19FT AR192 2013 Yamaha 19FT AR192This boat is in pristine condition!!! Hurry in before it's gone! Custom Yamaha CoverJet Pilot Rudder Kit Power, Luxury, Features And Value, All In One Compact Package Describing a 19-foot boat as powerful wasn’t possible – until now. Yamaha’s reliable, supercharged 1.8 liter Super High Output Marine engine packs plenty of horsepower. 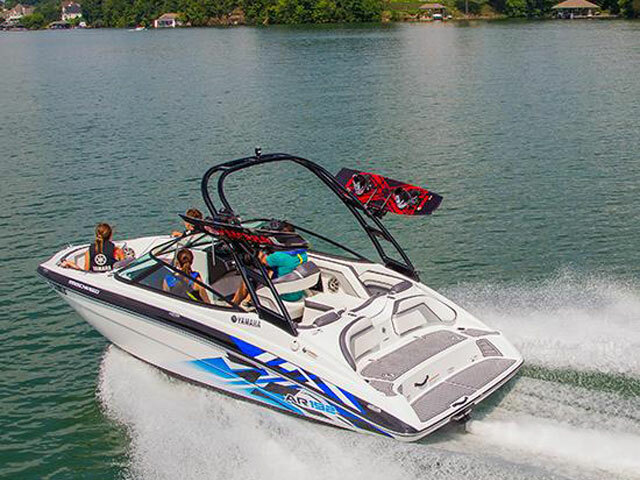 The extra roomy layout delivers the look and feel of a much larger boat. 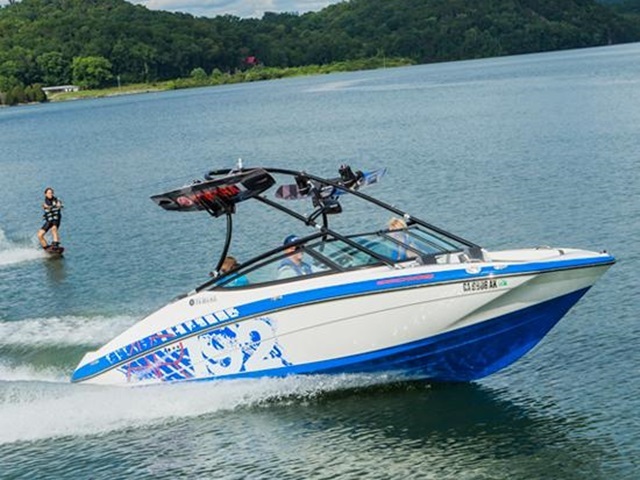 An oversized, in-floor locker easily accommodates wakeboards and towables. A distinctive helm and a wealth of features give the AR192 unmistakable style. Stainless steel rubrails, pop-up cleats, ultra premium snap out carpet and a garage-friendly trailer round out a long list of standard features you won’t find anywhere but on a Yamaha. 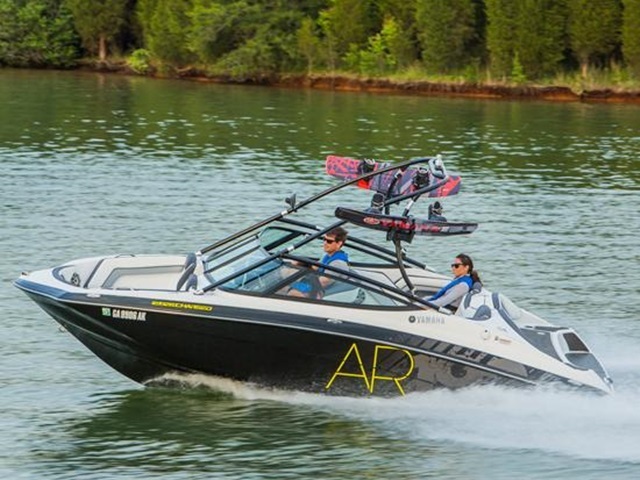 The all-new AR192 delivers an unexpected dose of adrenaline and value in a 19-foot family-friendly package. 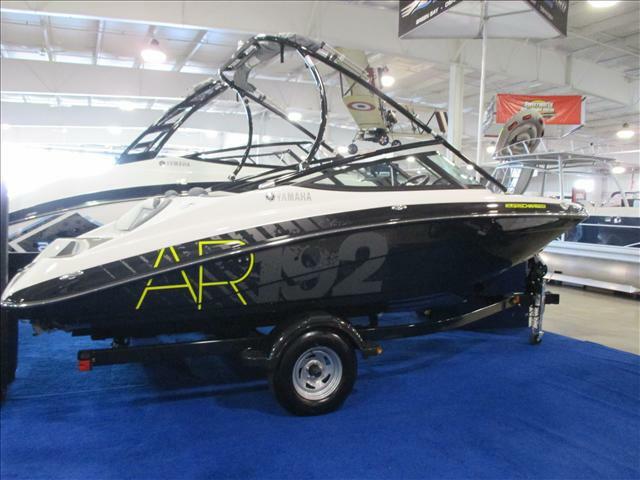 2016 Yamaha Boats 19 FT AR192, Get more for less. Yamaha?s supercharged 1.8 liter Super High Output Marine engine and jet propulsion system is packed with power, fuel-efficiency and reliability. Handling is quick and nimble thanks to Yamaha?s patented Articulating Keel. Comes standard with a forward swept tower, open lounge design, trailer and Bimini? top. 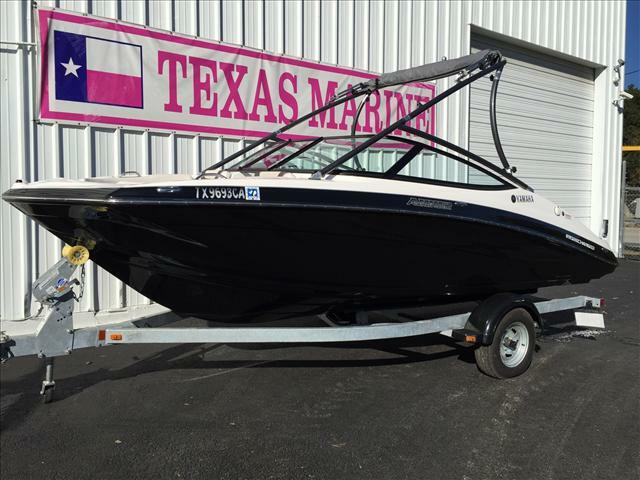 2015 Yamaha Boats 19 FT AR192, GALVANIZED TRAILER UPGRADE, SAND BAR STARTER KIT, TUBE PACKAGAE (tube,rope and 2 Ski Vests), GENUINE YAMAHA BOAT COVER, BEST SUMMER SPECIAL ON THE NET!! LIMITED INVENTORY, CALL NOW. IN STOCK w/ Black Hull Color. The sporty new AR190 offers proof that not all boats are created equal. 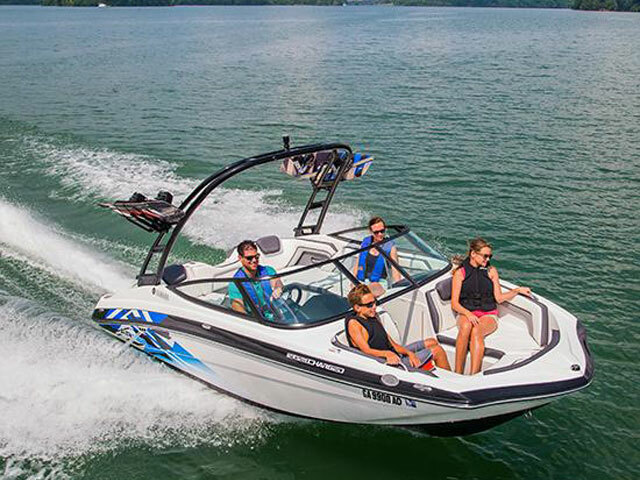 This agile craft delivers a big dose of fun compliments of Yamaha's innovative internal propulsion system and robust 1.8 liter Marine engine. Every New and Used boat is put through a series of checks and inspections and to prepare your boat for the water is a crucial step in insuring that you will enjoy your new purchase to the fullest. Information is subject to errors and changes without notice. Fill out the form on the left or click on 'Contact Dealer' & submit to get more info, go for a sea trial, and / or to receive a quote. 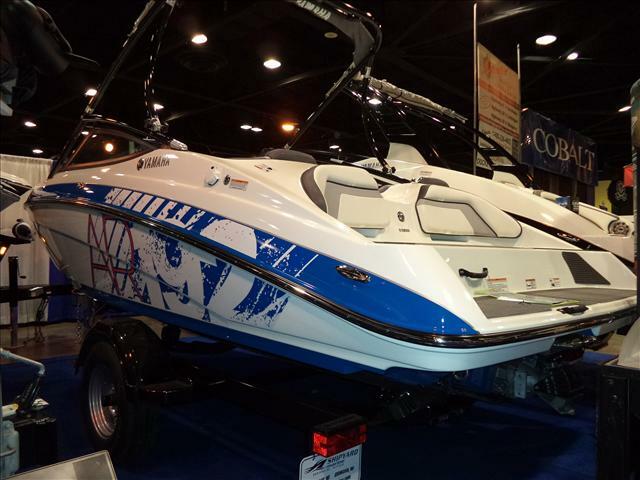 2015 Yamaha Boats 19 FT AR192, 2015 Yamaha AR192 Powered by Yamaha Super Charged 210HP Jet Motor. 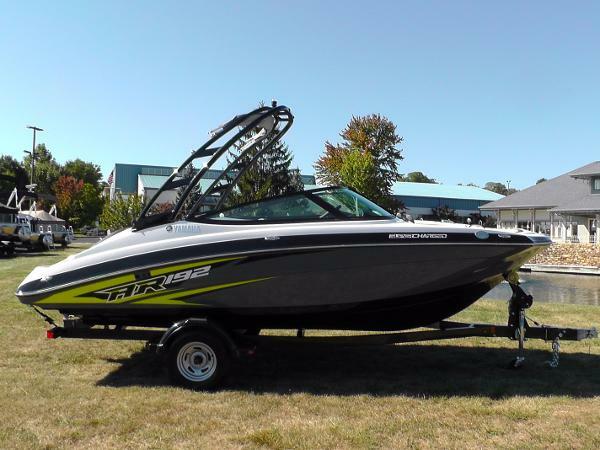 Includes Wake Board Tower and Custom Trailer. Call For More Details.